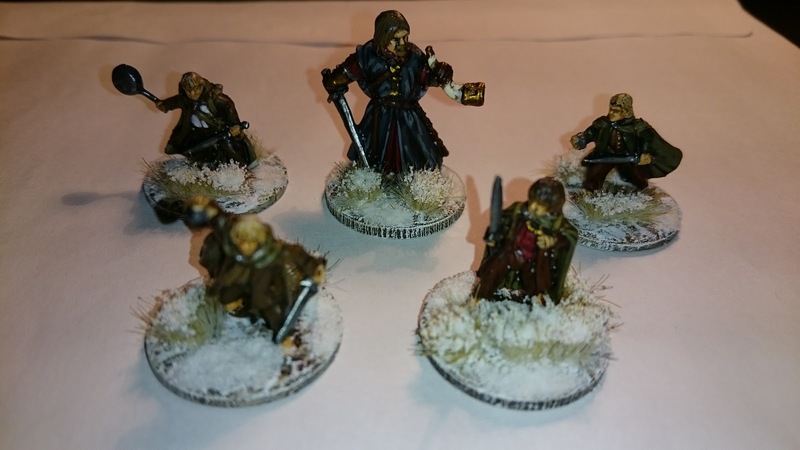 I pushed on last night and completed the last 5 figures of the Fellowshi... errr my warband for Frostgrave. A Knight, a Halfling Aprentice and 3 Halfling Thieves should do nicely. Game night tonight, and after that it's back to my paras. Not too much left now - the bases on my 6pdr and Vickers, and then a couple more batches to complete my 2 platoons and supports. And a Bank Holiday tomorrow so we can game late! And spend all Thursday painting!